In the latest volume of The Christendom Review, philosopher Lydia McGrew presents a three-fold argument in favor of divine timelessness. This is the view that God is absolutely immutable (cannot change in any respects) and exists in a manner that is completely unqualified by temporal predicates. On this view God doesn’t have a history or a future. God doesn’t even exist now (i.e., in the present). Rather, God just simply exists. He transcends the whole created realm of time and change. In favor of this way of thinking about God, McGrew argues that God’s transcendence, immutability, and perfection collectively constitute “a prima facie theological and biblical case” for divine timelessness. After presenting her positive case, she rebuts two main categories of objections. 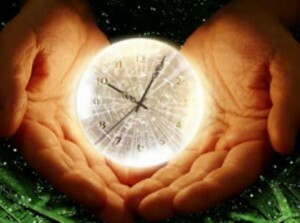 One alleges that if God is timeless, He cannot be truly related to temporal creation. The other contends that the metaphysics of time militates against divine timelessness. Next, McGrew raises some specific objections against William Lane Craig’s view of time. And, finally, she closes with objections against divine sempiternality (the view that God’s existence is temporal and everlasting, i.e., without either beginning or end). In what follows I will reply to McGrew’s major points and argue that the reasons she gives for divine timelessness are not very good. In part 2 I will consider her rebuttals of arguments against divine timelessness. And in part 3 I will examine her objections against Craig’s view and the sempiternal view. Before diving in to McGrew’s argument, I want to begin with a preliminary observation about how she sets up the debate. Divine transcendence refers to the Creator/creation distinction. For theists, everything other than God ultimately depends on God for its existence, whereas God does not depend on anything else for His existence. McGrew glosses this idea in the context of Psalm 90:1-4 by saying that “God’s entire being and perspective is above and beyond our creaturely finitude.” And since creation is obviously temporal and changing, she thinks we should hold that God’s being and perspective are above and beyond time and, hence, that God is timeless. McGrew also references several other passages (Ephesians 4:6; Isaiah 55:8-9; Psalm 97:9; Acts 7:48-50; Acts 17:24-25) that, in various ways, make the point that God is “exalted above all else” and “is not limited by His own creation.” The inference seems to be that if God were “in” time, then God would be limited by His creation and thus would not be above all else. In response to these considerations, I want to reemphasize the point made above that no proponent of divine temporality understands this to “limit” God. The view that God experiences succession does not, in and of itself, imply that creation is in any sense “above” God. It’s almost as if some defenders of divine timelessness have a crude straw man in mind wherein God creates a temporal creation and thereby places Himself or finds Himself stuck “in” time. But no one, or at least none of the major parties to this debate, believes that. Time, I would add, is not a “thing”. God doesn’t create time. Nor does He create things “in” time. Rather, He creates things that are capable of changing. Time is nothing over and above the fact that things change. In particular, it is not a container that God or anything could literally be “in” or be constrained by. Finally, Exodus 3:14 and Psalm 90:2 (“From everlasting to everlasting, thou art God”) convey only that God, unlike created things, does not and, indeed, cannot, either come to be or cease to be. This seems to be the relevant aspect of Jesus’ point in John 8:58 where he alludes to Exodus 3:14 by saying “before Abraham was, I am.” There is no suggestion in any of these verses that God is timeless. Indeed, the use of words like “before” in Psalm 90:2 and John 8:58 suggests the opposite. In sum, I fail to see any way in which divine transcendence or the Creator–creation distinction is threatened or undermined by divine temporality. And I fail to see why it isn’t sufficient for transcendence to hold that God, unlike creation, exists necessarily, does not depend on anything else for His existence, and is omnipotent, omniscient, and omnipresent. Perhaps there are a few other qualifiers we should add, but I see no reason to think that divine timelessness should be one of those. Immutability means incapable of change. All theists believe that God is immutable in nature. His character and fundamental attributes cannot change. Let’s call that qualified immutability. Some theists go further, however, and argue that God must be immutable tout court, i.e., absolutely incapable of changing in any respects. That’s the sort of immutability McGrew has in mind. To argue for this she makes basically two points: (a) Certain Bible passages prima facie (i.e., at first glance) seem to teach that God does not change, and (b) to take literally other passages that prima facie suggest that God does change will lead one to open theism, which is bad. In my view this whole line of argument is very weak. In the first place, the mere fact that passages that prima facie suggest divine timelessness are counterbalanced (and vastly outnumbered) by passages that prima facie suggest divine temporality means that Scripture on the whole does not give us a prima facie case for divine timelessness. One has to go beyond the prima facie and carefully examine lots of texts to draw any secure conclusions on the matter. In the second place, all of the verses McGrew cites in favor of divine timelessness (Numbers 23:19; Psalm 102:25-27; Malachi 3:6; and James 1:17), when taken strictly in context, teach nothing more than qualified immutability. They teach that God’s character is unchanging, that God is faithful to keep His promises, and the like. To interpret them as teaching absolute immutability one has to read into the text more than the context warrants. Perhaps there are good reasons for reading more into the text—the passages in question seem to allow for a stronger reading, even if they don’t require it. But McGrew attempts to shift the burden of proof: God is not a finite being, she says, so “[w]hy should we not conclude that God is literally immutable and therefore timeless?” God’s non-finitude, however, is beside the point. As I’ve already argued, divine temporality, rightly understood, does not in any way limit or constrain God for time is not a thing over and against God that could limit Him. As for the burden of proof, there are quite a few reasons, some of which I may have a chance to develop in subsequent parts of this series, for thinking that God is not immutable. I’ll briefly mention one: Decisions are essentially temporal events. God, everyone agrees, exercises providence over creation. An essential aspect of providence is His making decisions with respect to creation. Hence, either God is capable of change or He cannot exercise providence. I won’t claim right now that this is a knock-down argument, but prima facie it has at least as much going for it as McGrew’s appeal to God’s non-finitude. What about the verses that seem to teach that God does change? McGrew notes that some depict God as “repenting” or “relenting” (Genesis 6:6; Exodus 32:14; and Isaiah 38:1-5). She argues that such verses and others which suggest that God can change may be plausibly viewed as non-literal anthropomorphisms. Now, I grant that many and probably most such verses can and probably should be read as anthropomorphisms, but can all of them plausibly be so read? I highly doubt this. Consider, for example, the Isaiah 38:1-5 passage that she references. Isaiah, speaking for God, first foretells Hezekiah’s imminent death and then later, after Hezekiah prays, rescinds that prophecy and informs him that God will add 15 years to Hezekiah’s life. McGrew contends that “if God literally changed His mind after … Hezekiah prayed, this seems to indicate that God did not know ahead of time that [he] would pray, what [he] would pray, or perhaps even how He would feel after [he] prayed. On the literal interpretation … , God changed His mind after receiving new information.” But this is an unnecessarily crude reading of the passage. One need not believe that God literally “changed His mind” to see the passage as supporting divine temporality. Indeed, I would argue that the key point is not that God changed His mind (He didn’t), but rather that God responds to Hezekiah. This alone implies change in God. Here’s what we have: First God’s sends Isaiah to tell Hezekiah one thing, then Hezekiah asks God to extend his life, and finally God responds, sending Isaiah back with a revised message. It is plausible (as most interpreters suggest) to take Isaiah’s initial message as a conditional prophecy with an unstated condition: Unless you (Hezekiah) pray and ask for more life, you will soon die. Now, if Hezekiah was free to pray or not to pray then, in the explanatory order of things, God must “wait and see” what Hezekiah is going to go “before” He sends Isaiah back with the revised message. This is because God’s actions are conditioned by and dependent upon Hezekiah’s choice. If Hezekiah prays, then God does one thing. If Hezekiah does not pray, then God does something else. There must, therefore, be a sequence in God: a “before” state in which God “waits” on what Hezekiah will decide, and an “after” state in which God knows what Hezekiah has decided. This cannot be understood as a merely conceptual but timeless sequence in God because the “before” and “after” states are incompatible: God cannot both be informed of Hezekiah’s decision and not so informed. (In contrast, in all merely logical or conceptual sequences, such as a sequence of premises and conclusions in a chain of arguments, the terms are mutually compatible.) Hence, the sequence marks a change in God’s epistemic state and thus implies change in God. To avoid this argument the defender of divine timelessness must say that God is never conditioned by His creatures, but that leads to either theistic determinism or to an unusual version of open theism (one in which we have a “branching block” universe in which all creaturely causal possibilities are real and there is no unique sequence of post-present events that could qualify as “the” actual future). (I develop the preceding argument in greater detail here.) I strongly doubt that McGrew would be comfortable with either alternative. In response, I would appeal, as Craig does, to God’s perfect memory. A temporal God loses absolutely nothing of the past because His recall is complete and as vivid as if the events remembered were present right now. Unlike Leftow’s widower, God has not, as Craig puts it, “actually lost the persons he loves and remembers” for “[t]hose who perish physically live on in the afterlife, where they continue to be real and present to God” (p. 73). Furthermore, with respect to the future, a temporal God can anticipate all possible futures in full detail just as though the events they contain were present right now. Even if the child is still present with his mother later, there is a sense in which the mother herself, as a being in time, has lost the earlier stage of the child’s life, not because she does not have sufficiently perfect memory, but because, from her perspective as a timebound being, that stage of the child’s life is no longer really present. Supposing that the mother had a type of memory that allowed her to “replay” any scene she wanted from the earlier part of her child’s life, that would still not be the same as actually living through that stage, because she would know that her own relation to that earlier stage was merely as a spectator of a kind of movie. Similarly, even though God will have those persons who are eternally saved with Him throughout all eternity, a temporal God, going through time with His creatures, would in some sense lose the presentness of those earlier stages of His creatures’ lives. In that sense He would not be a perfect being as a timeless God is perfect. This is an interesting argument, and one with a degree of plausibility. The passage of time makes a real difference in what is present to us, and if God is temporal, then it makes a difference for God too. But I don’t see how this sort of “loss” in God’s case is at all problematic. Sure, a temporal God would know that past things are past and have a different attitude toward them than He would toward an as-yet-unsettled future, but why does that amount to a “loss” worth caring about? Why is that a “loss” that matters with respect to divine perfection? Leftow, I submit, comes very close to begging the question: The passage of time counts against divine perfection because if God is temporal then time passes for God and the “loss” of temporal passage is an imperfection. Let me close by turning the tables and pointing out that something is also “lost” for a timeless God. Such a God could have no sense of anything being “over and done with” (like creation or the crucifixion) or have an experience of anticipation or hope or the joy that comes with the fulfillment of one’s hopes. In contrast, while the mother may not be able to turn back the clock with her child and relive as present those very same events, still by journeying along in time with her child she can, in the best of circumstances, share directly in her child’s hopes and dreams and be surprised by her child’s creativity and accomplishments. A timeless God can’t do that and thus loses out on what many of us would regard as one of the chief joys of temporal existence, namely, that there’s always something new to look forward to, something new to experience, something new to explore. (In this paper, I argue that God would want to create a world with an open-ended future.) While a timeless God may grasp everything that ever happens in an all-encompassing static “now,” it’s not really a now. It has no dynamic depth to it. There’s nothing special to God about any moment in any creature’s life in the way the dynamic presentness of a mother with her child is special. It’s like the difference between watching a movie where the suspense of the next moment is a key part of the experience and just seeing the whole filmstrip laid out in one, unblinking Gestalt. For my part, I think the losses for God that come with timelessness count more against divine perfection than the losses that come with temporality. Well said! Very clear too! Thanks. Thanks, Tom. I’ve just made a few edits, so it’s hopefully a little better now. If you have the time, I’m especially interested in what you think about my closing paragraph. Blessings. The last paragraph is one of your very best! I doubt it will convince a devotee of divine timelessness to “switch teams,” but I think it’s another good argument for open theists who appreciate living life with zest and believe the greatest conceivable being would also appreciate living time-fully with such zest! Thanks, Tom. “Time-fully”. I like that word. Contrasts nicely with “timelessly”. So good to see you back blogging! Great piece.